>my son, the stomach sleeper. Holden will be seven weeks on Tuesday. He has had some issues with sleeping on his own the last few weeks and I’ve been trying to find a solution. He will be fine for a few minutes when I lay him down but he startles himself awake and then realizes he’s no longer being held and will not go back to sleep. Holden the cat napper. Frustrating! All I’ve ever read about babies sleeping on their stomachs is how bad it is. It’s linked to SIDS. Scary! As a new mom, I have enough to worry about. I started reading some blogs and real life experiences of moms dealing with the same thing and they all said the same thing – not as worrisome as everyone thinks. Now, I’m not saying it’s not nerve-racking still. It is. But I’m dealing with it. How, you ask? Well, I don’t sleep as well. I wake up quite often to check on him. I’d rather suffer a little and Holden sleep better. During the day, I check on him every 10-15 minutes and during the night he sleeps right next to me so I can check on him. I can rest a little easier because Holden is so strong. He has been able to hold his head up from day one (literally) and has no problems moving it from side to side. Let me know if any moms out there are/have dealt with the same thing and can offer any advice! >Phoebe was a horrible sleeper at first. We literally had to hold her the entire time for her to sleep at all. I thought I'd never be able to move without her on me.Here's what we did. First, we made the switch to formula for many reasons. A couple of weeks later, we began putting her in her swing during the day and for as long as she would let us during the night. There were many evenings that I'd put her in the swing and just lay there as she cried for 15 minutes.Eventually (around 8-9 weeks), she began napping then sleeping for hours in her swing. Then she began stretching out so I took that as a hint that she wanted more room.We repeated the same process with her crib – putting her in there during the day so she could get used to her surroundings. And then one evening when she was 3 months old I did the crying it out method. At this point, I felt like she wasn't just a little animal and I finally knew her cues. So the evening I tried it, I knew she wasn't hungry or wet and she WAS tired. Began about 1am. Went in there after 5 minutes, then 10, and then 15. When I was about to go in there after another 15 she settled down, woke up after 8 minutes but settled down again.Except for teething, being wet, or nightmares we haven't had a problem since. 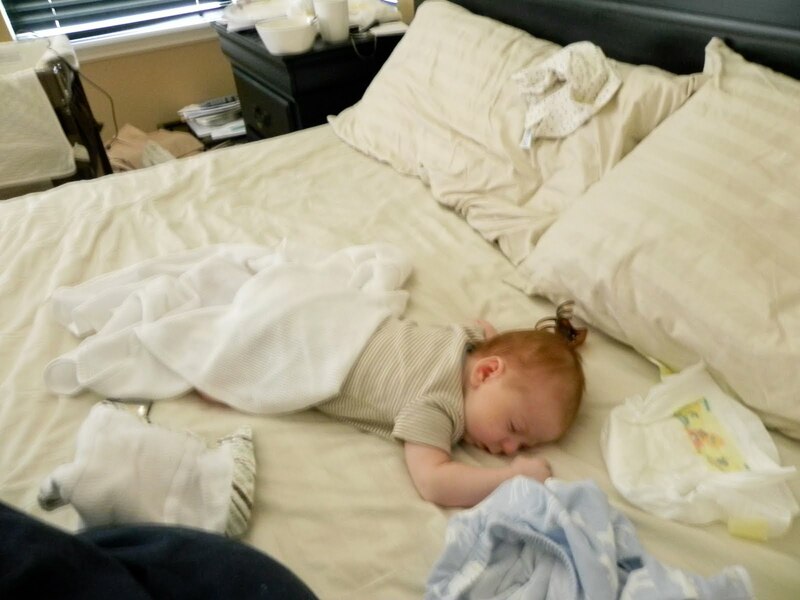 In fact, she will fight sleep until she is in her crib.I was told if babies have good head and neck control then tummy sleeping is okay – you just have to do what you're comfortable with. Just make sure the crib does not have a bumper on it. >Mine all woke up ALL the time on when I put them on their backs to sleep–I always tried until I got so exhausted that I couldn't function. Then they slept on their tummies and slept much longer during the days and nights. I justified it with "they used to tell mothers to put their babies on their stomachs" and tried to squirm out of the nurses question when they ask if they sleep on their backs at the check up.